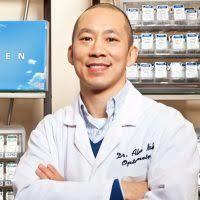 SAME DAY or NEXT DAY RUSH service is available for most prescriptions! We are dedicated to providing high quality, fashionable frames, and lenses at a reasonable price. We have hundreds of different styles of eyeglasses to choose from. Feel free to bring a friend to visit our showroom any time to browse our eyeglasses. Our office displays eyeglass frame styles that vary from colourful and fashion forward, to elegant and contemporary. We offer all types of high quality ophthalmic lenses. Many optical chains are limited to their specific brand of lenses. Unfortunately, with vision care, one size does not fit all. At our office we have access to all types of lenses that are available. Different patients with different specific visual needs need different lens types. This is particularly true for patients that wear invisible bifocals or “Progressive lenses”. 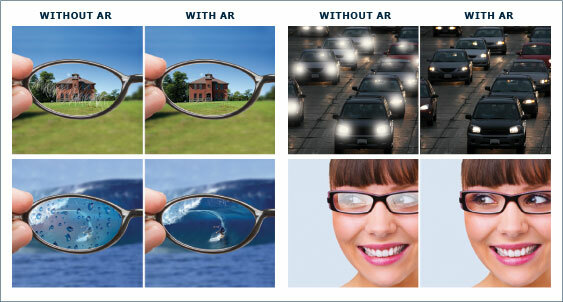 There are hundreds of types of Progressive lenses available. Off course, some are better than others. Some are suited more for someone with primarily distance visual tasks (eg a bus driver). Others are better for patients with mostly close visual tasks (eg an office worker on the computer). At our office, we tailor your lenses to your particular needs and tasks. We inspect your frame and lenses with a rigorous checklist to ensure you are receiving high quality eyewear. Our products have had a thorough quality inspection to ensure that they will serve you for years. All eyeglasses carry a one-year guarantee against breakage at no additional charge. Some eyeglasses even carry a two-year warranty! If your glasses break, just return the broken parts and your glasses will be repaired or replaced free of charge. After getting your new glasses, if you decide you don’t like the frame, you can exchange it for another frame for up to 15 days from purchase. Eyeglasses purchased from our office include unlimited adjustments and repairs for as long you own your eyeglasses. Our dispensary has over 1,000 frames in stock, the same as most optical stores. Our experienced frame stylists will help you find the perfect size, shape and colour in your price range. Many frames brands we choose to carry are not offered at big box stores. Our office can provide you with an array of lenses that best cater to your prescription and to your visual needs. This wide selection of lenses enables us to solve any optical problem that you may be experiencing. We have lenses that are specific for computer users, golfers, athletes, and chefs just to name a few. If you have visual difficulties, our doctors are available to review your prescription at no charge. In fact, we have an “Accurate Prescription Guarantee”. We want you to love your new eyeglasses and your new vision.